Altair recently hosted the 2017 Americas Altair Technology Conference East. The event took place on Monday, October 9th - Tuesday, October 10th, 2017 at Cobo Center in Detroit, Michigan. The 2017 Americas ATC East showcased Altair's innovations in simulation technology. Highlights of the conference included optimization driven design methods, the evolution of the user experience, and the impact of disruptive trends on simulation. Within the 2-day agenda, innovators across industries were invited to share how simulation driven design has changed the way their businesses operate. Industry leaders explored how simulation continues to be driven by current disruptive trends, including additive manufacturing, big data, and the internet of things. In addition, technical content was delivered by Altair customers and team members showcasing the latest in advanced technology. Sessions were divided into tracks dedicated to specific topics and industries. Presenting at the 2017 Americas ATC East provides a unique opportunity to talk to a large engineering audience and discuss innovative work with one's peers. Send us your abstract and be sure to include a title, a 150-200 word abstract and the email subject: Abstract | ATC East. "Competing to Win in an Unpredictable World"
"Virtual Vehicle: Moving at the Speed of Engineering"
"History & the State-of-the-Art of Fatigue Analysis & Engineering"
"User Experience: Demonstration of HyperWorks Next Generation to Maximize Multidisciplinary Productivity"
"Durability and Manufacturability of Bionic Structures"
"Meshless CFD for Reducing Cycle Times"
"Optimizing 3D Data to Streamline Your CAE Workflow"
"The Benefits of Experiencing NVH & CAE Data from Pre-concept to Production"
"Linking Product Requirements with Performance"
"Application of advanced finite element analysis techniques to a variety of cast steel structural components"
"Automatic reproduction of supervisory control system logic diagrams with high fidelity functional simulation purposes using solidThinking Embed"
"Using Electromagnetics Simulation To Augment Automotive Radio Frequency Testing"
"Evaluation and Implementation of an Alternative Method to Track Mode Shapes during CAE Based Optimization"
"Engine Mount Optimization Using Compose/HyperStudy"
"Surrogate Target Design and Validation for Evaluation of mm-Wave Automotive Radar"
"Multidisciplinary Design Optimization of a Winglet"
"Improving Vehicle Ride Quality using Multi-Model Optimization"
"WORKSHOP: Advanced CAE Data Processing Using Matrix-Based Numerical Language"
"WORKSHOP: Multiscale Material Models to Simulate Fiber Reinforced Injection Molded Components"
"Using Flux2D in Development of PMSM Fault Detection Algorithms"
"Altair OptiStruct for engine dynamics and durability CAE"
"WORKSHOP: e-Mobility System Modeling and Motor Control"
"Surface to Air: Design the Difference in the America's Cup"
"Chrysler Pacifica: Advanced Virtual Tools for an Efficient, Lightweight Body Structure"
"Harley-Davidson’s Transformation into an Optimization-Driven Design Company"
"Altair's Smart Connected Product Innovation Platform"
"Simulation-driven Innovation - The promise, the pitfalls, and the business imperative for ever better products and business execution"
"The Future of Mobility for All the World"
"Numerical Simulation of the Selective Laser Melting Process as a Support to Direct Tolerant Design"
"Optimizing Additive Manufacturing through Effective Use of Materials and Process Information"
"Integrative Simulation of Short-Fiber-Reinforced Engine Compartment Components"
"Body Concept Development at NEVS - Multi Platform Development for E-Vehicles"
"Lattice Optimized Brake Pedal Study"
"Using Click2Extrude to Meet the Demands of the Automotive Industry"
"Blind Prediction of Crash Performance of a Composite Bumper & Crush Cans Using Radioss"
"Simulation-driven Design in the Cloud"
"Integration of Deformation Prediction Software into the AM Design Process"
"WORKSHOP: Accurate Loads = Lighter Designs: A practical guide for Structural Engineers applying Altair's Multibody Solutions"
"Resolving RF Coverage and Interferance in a Large Factory"
"WORKSHOP: Design for Additive Manufacturing"
”Very good event. Useful to have that opportunity to see how the products are being used, and learn about upcoming product offerings. Good to see the partner program participants... useful connections made because of their presence." 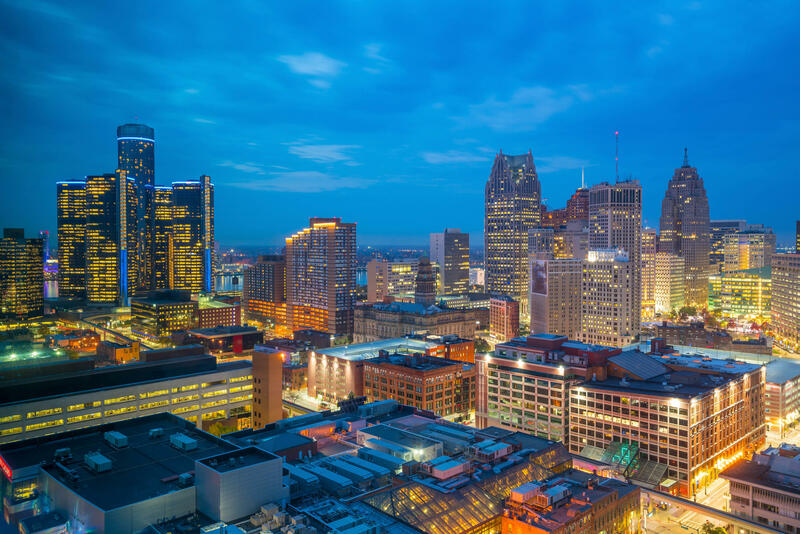 Find Restaurants & Attractions in Metro Detroit. The best events. The best restaurants. The best ratings. All of Detroit's hidden gems in one app. Available in the App Store and Google Play. We were founded in 1985 in Michigan, and have a balanced global footprint with 67 offices in 23 countries, and over 2600 engineers, scientists and creative thinkers. Philip R. Guys is AAM’s Chief Technology Officer and Vice President. In this role he leads the company's innovation strategy and roadmap while driving the design and development of advanced technologies as part of AAM's growth plan. Guys joined AAM in December 2011 as Vice President, Driveline Product Engineering. In March 2016, the expanded role of chief technology officer was added to his responsibilities. In August 2016, Guys was named Chief Technology Officer and Vice President, Global Product Engineering and given responsibility for AAM’s strategic technology vision. Guys began his automotive career in 1985 with General Motors. In 1987, he joined Ford Motor Company. Throughout his career, Guys has been focused on the design, development and manufacturing support of driveline and drivetrain products and systems. Guys received a bachelor of science degree in Mechanical Engineering from the University of Pennsylvania in 1985 and a Masters of Business Administration with a concentration in International Business from the University of Michigan in 1992. Dr. Socie's early research work at the University of Illinois involved the development of fatigue life estimation models for notched and cracked members subjected to variable amplitude loading. He was responsible for the development of ASTM Standard E 1049 Cycle Counting in Fatigue Analysis. This was followed by ten years work studying cyclic deformation of and fatigue of metals under multiaxial states of stress. Although retired, Prof. Socie still maintains an active research program. Current research includes cyclic deformation and fatigue under multiaxial stresses, probabilistic fatigue and fracture design, energy harvesting and structural health monitoring. Dr. Uwe Schramm is the Chief Technical Officer for Altair’s solvers, optimization and smart multi-physics solutions and strategy. Beyond developing computational engines for speed and accuracy to solve today’s most complex engineering problems, his organization is committed to developing and deeply embedding optimization technology throughout Altair’s software portfolio to spur innovation and to drive the design process. Dr. Schramm joined Altair in 1996 as an Engineering Manager following a career in academia at the University of Virginia and University of Rostock. In 1999, Dr. Schramm was promoted to Director and relocated from Germany to California to oversee the development of Altair’s optimization technologies and to build a western region consulting practice. Having success in both endeavors, he was promoted to Vice President of Product Technology for Altair HyperWorks in 2004 and then to CTO of HyperWorks in 2008. Moving back to Germany in 2011, Dr. Schramm assumed responsibility for Altair’s German operations as Managing Director. Vance has been with Harley-Davidson since 1997, beginning at Buell Motorcycles where he led the development and launch of the XB motorcycle platform and early design work on the 1125 platform. He spent time in Strategic Planning creating strategies for H-D’s sales and marketing organization then held multiple leadership roles in Product Development including leading the team that developed Harley-Davidson’s first-ever electric motorcycle prototypes in 2011. Prior to joining Harley-Davidson, he served as an engineer at Parker Hannifin and engineering leader at Team Losi Racing. Vance earned a Bachelor’s of Science in mechanical engineering from Loyola Marymount University and a Masters of Business Administration from Northwestern’s Kellogg School of Management. He’s ridden motorcycles since he was 9 years old. Iain Percy OBE, a double Olympic and multiple world champion, is one of the most talented and successful sailors in the world. Iain has a remarkable Olympic pedigree, winning gold in the Finn class at the Sydney Olympics; before teaming up with lifelong friend Andrew 'Bart' Simpson to win gold at the 2008 Beijing Olympics and silver at the London 2012 Olympic Games. Iain had his first taste of America's Cup action in 2005 as helmsman for +39 Challenge, and was part of Great Britain's America's Cup challenge, Team Origin. He joined Artemis Racing at the end of 2012 as tactician, following the London Olympics. After showing inspirational leadership qualities during the difficult final few months of the 34th America's Cup campaign, he was appointed Team Manager in October 2013. Iain is now responsible for leading Artemis Racing's challenge for the 35th America's Cup. 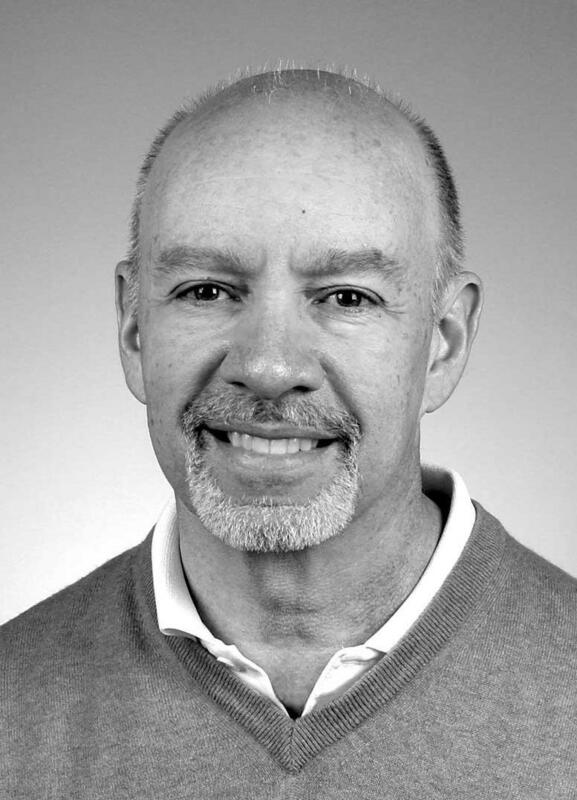 Dr. Chris Borroni-Bird joined Qualcomm Technologies Inc. as a VP of Strategic Development in 2012 and is responsible for developing and implementing a transportation vision around wireless and compute solutions for future automated, connected and electrified vehicles. Prior to this, Dr. Borroni-Bird was GM’s Director of Advanced Technology Vehicle Concepts and Electric Networked Vehicle (EN-V) Program. The EN-V concepts are small battery powered urban mobility vehicles that can communicate with each other and drive autonomously, and were demonstrated extensively at the 2010 Shanghai World Expo. Chris was selected as one of Automotive News’ Electrifying 100 in 2011. He also led GM’s Autonomy, Hy-wire and Sequel “skateboard” vehicle concepts and has 50 patents. Before joining GM in 2000, he led Chrysler’s gasoline fuel cell vehicle development and was inducted into the Automotive Hall of Fame as a Young Leader in 2000. Dr. Borroni-Bird is co-author of “Reinventing the Automobile: Personal Urban Mobility for the 21st Century”, with Larry Burns and the late Bill Mitchell, that was published by MIT Press in 2010. Chris obtained his Bachelors and Masters degrees in Natural Sciences from King's College, Cambridge, completed his Ph.D in Surface Science from Cambridge University and performed Post-doctoral research in solid state physics from the University of Tokyo. Mark A. Meili is Director of Modeling and Simulation for The Procter & Gamble Company in Cincinnati, Ohio. He has held a variety of technical and management positions in both R&D and Product Supply Engineering and his current role spans technical work processes from research to commercialization to supply chain operation. Mark has been both a practitioner and champion of first principles understanding to reduce risk and enable robust technical decision making throughout his 31-year professional career. Mark received Bachelor of Science degrees from Kansas State University, one in Mechanical Engineering and one in Grain Science. Granta Design helps you get more from investments in simulation, working closely with Altair to enable direct access to materials data within CAE. GRANTA MI:Materials Gateway tools support preparation of materials models – save time in design and development, avoid error, increase confidence in simulation results, and deploy them for wider use. Granta can also help you to make smart materials choices with CES Selector, the standard tool for materials selection and graphical analysis of materials properties. GeonX S.A started up its activities in 2012 with headquarters in Belgium and offices in France, USA and representatives in Korea, China and Japan. powered by MORFEO, provides an accurate, powerful and industrial platform of virtual manufacturing. Making virtual manufacturing a reality is the mission of GeonX S.A. Modelling manufacturing processes such as Additive Manufacturing, Machining, Heat Treatment and Welding allows designers to reduce tedious manual tuning and waste of material. It leads, as well, to the optimization of the resulting manufactured part in terms of mechanical properties, residual stresses and final deformations.